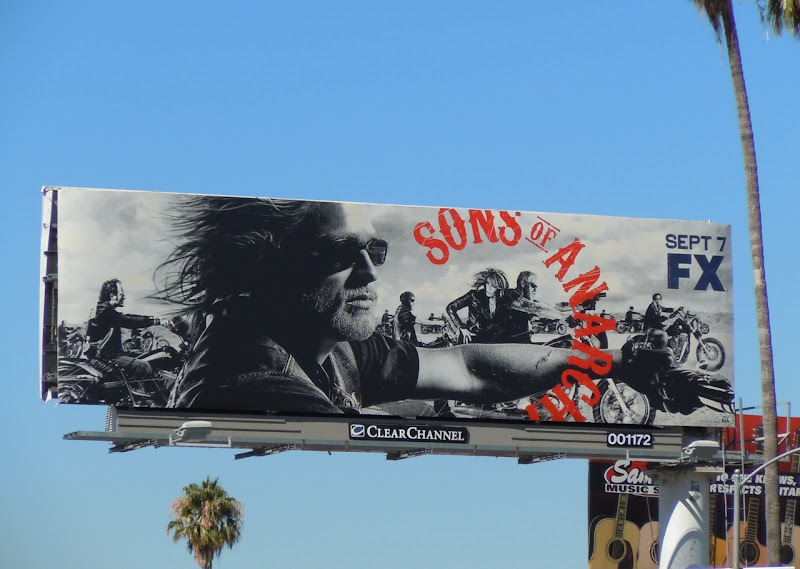 This TV bilboard for third season of FX's Sons of Anarchy manages to capture that free-spirited biker feel of the show which follows the exploits of an outlaw motorcycle club. It's a cool visual that really catches your eye as you drive by, especially as it's in mono with just a burst of red for the series title. Just looking at the billboard you can almost feel the wind rushing through your hair. 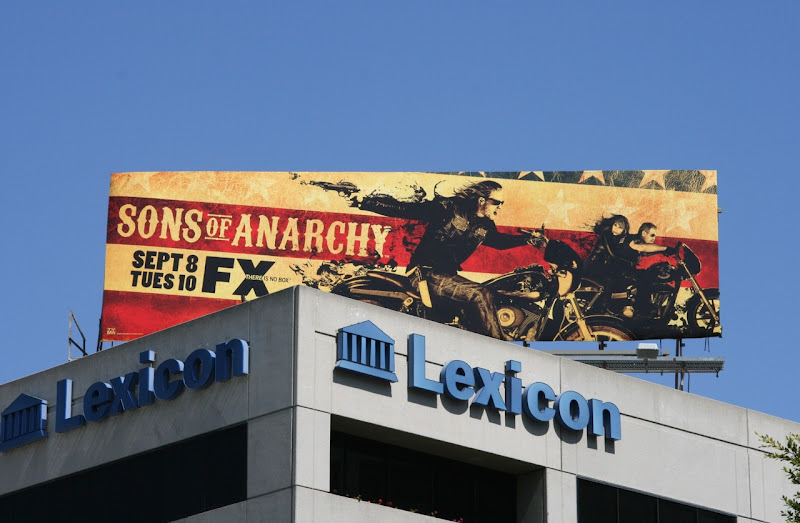 This new season television billboard was snapped along West Sunset Boulevard at N Martel Avenue in L.A. on August 23, 2010. 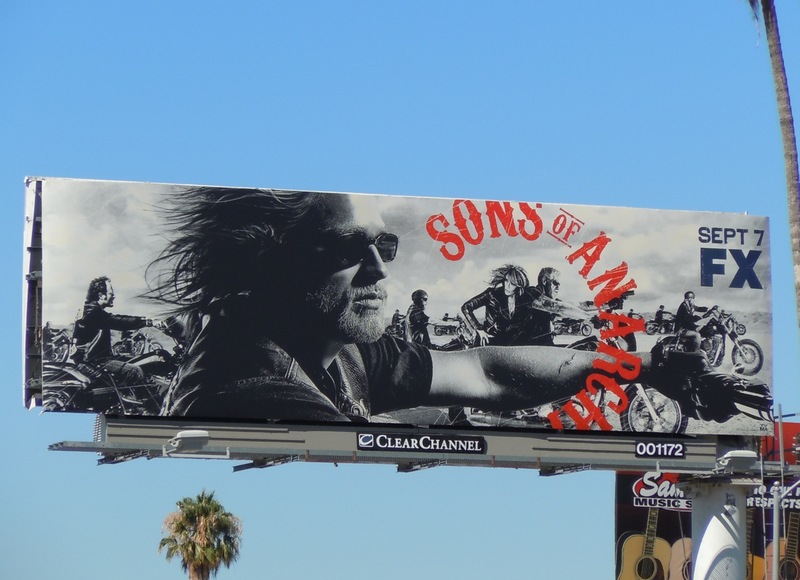 UPDATED: As a special bonus here's the season two billboard for Sons of Anarchy, snapped high over San Vicente Boulevard on August 12, 2009.